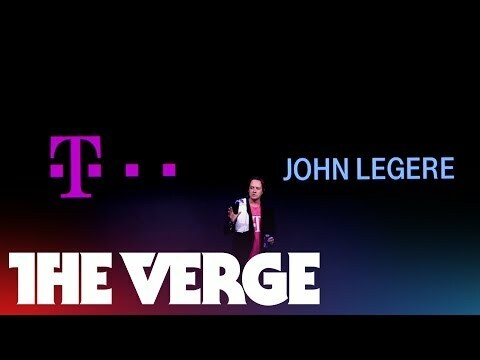 T-Mobile’s John Legere: Genius, joker or jerk? A new sidekick for Bill Gates? Most tech industry keynotes are predictable: Jargon, jargon and a little more jargon, perhaps with an awkward demo or two tossed in. The plants in the crowd go wild! 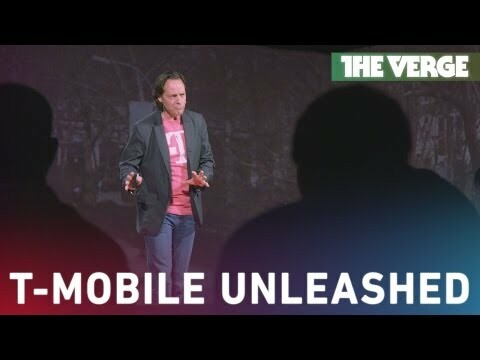 T-Mobile keynotes by CEO John Legere are also becoming predictable, but for being very different than the rest of the keynotes out there. Here’s a look at some of Legere’s greatest hits, including from International CES 2014 (some of the language: NSFW). 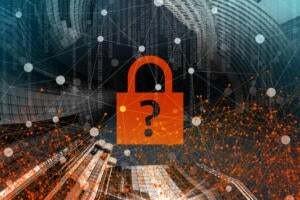 Legere had more than a few choice words for rivals Verizon, AT&T and Sprint during his CES 2014 keynote address, during which he announced T-Mobile’s plans to offer up to $650 for customers to leave another carrier for his. AT&T tried to crash T-Mobile’s CES party the week before the show by announcing plans to offer customers of other carriers up to $450 per line to switch. 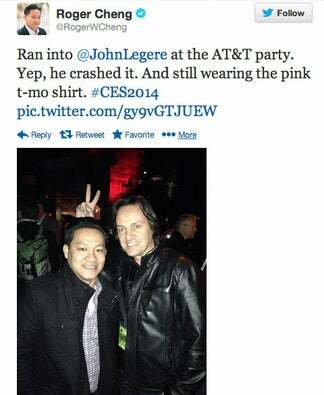 Legere returned the favor at CES, literally crashing AT&T’s Vegas party featuring hip-hopper Macklemore, and getting tossed out after posing for a picture with a reporter. Of course, Legere can have a party all by himself considering his sweet ride. T-Mobile’s Legere launches real fireworks, including of course T-Mobile magenta ones. He’s quite tame here. 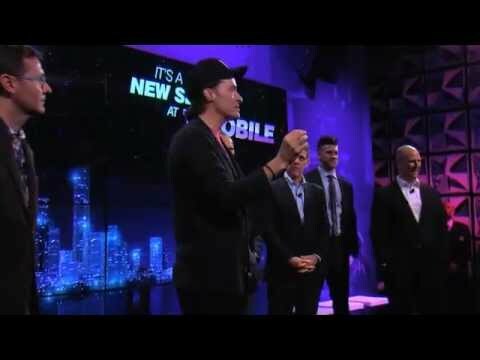 Legere gets complimented for using colorful language. 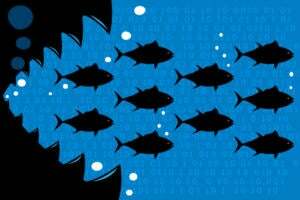 As NW’s John Cox wrote: “In a profane, foul-mouthed, ad-libbed presentation, T-Mobile CEO John Legere trumpeted his company's previously announced "unlimited" data plans, scrapped its cellular contracts, launched its belated LTE network, and revealed that T-Mobile, finally, would offer the iPhone.” Oh, and he warned about aliens. Guess that AT&T/T-Mobile merger wasn’t going to work out after all. 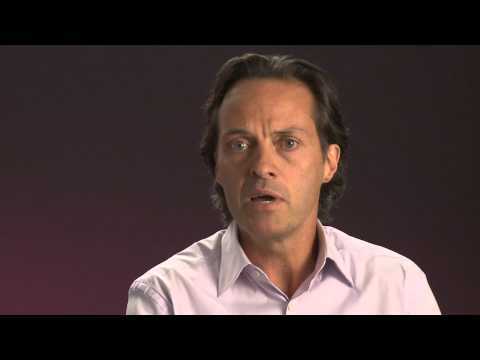 Legere refers to the AT&T network as “crap.” Though interestingly, Legere worked for AT&T Asia back in the day. 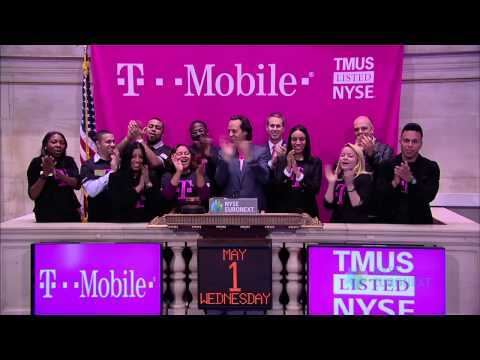 Legere leads the cheers as T-Mobile/MetroPCS join forces at NYSE. 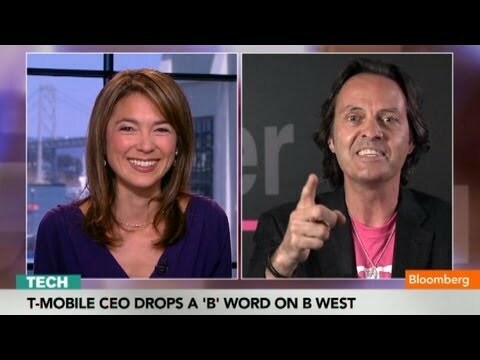 Here, Legere is introduced as CEO of T-Mobile in September 2012. Not sure Deutsche Telekom knew what it was getting into. This was before he morphed into the T-shirt wearing, jeans-donning, wavy-haired stage presence he’s become today. 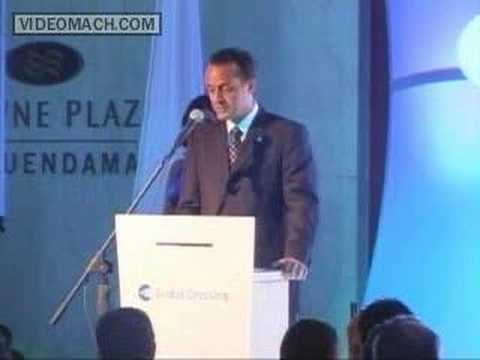 A decidedly more buttoned-down Legere when he was Global Crossing’s CEO in 2007, speaking in Columbia. We don’t advise watching the whole thing, but if you want to get a little contrast vs. the other video, watch for a few seconds. 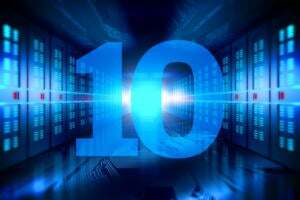 How would this be for a dream scenario: Legere as Steve Ballmer’s replacement at Microsoft. His name has been floated….